By rights, the only people who should have nicknames are guys named Nick, though reasonable folks would include Nicki. But since the world seems determined to go its own way without regard for logically consistent opinions, people should know that among well-known nicknames are those of infamous pickpocket Thomas “Butterfingers” Moran and fellow criminals “Pretty Boy” Floyd and “Baby Face” Nelson. Nicholas, known as Nick, likes his nickname, as the guy who named this store also obviously does. If weʼre going to follow the crowd and apply other nicknames, then letʼs play ball. As in baseball. Pete Rose is Charley Hustle. George Herman Ruth, Jr., is Babe, The Great Bambino and The Sultan of Swat. Osborne Earl Smith – known both as Ozzie and the Wizard of Oz. Reggie Jackson – and Aʼs fans are still crying after he went to the hated Yankees – indeed deserves his Mr. October nickname for his postseason hitting heroics. In other nickname news, the Nickname of the Day Award goes to Neva, whoʼs called Superneva by those who both love and fear her, comparing her unpredictable and explosive temper to an exploding star. 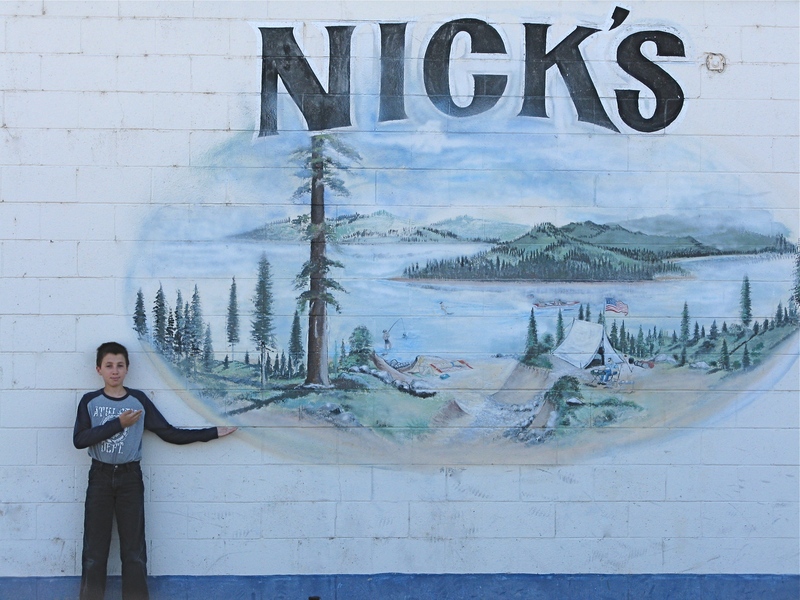 Meanwhile, Nick is wondering if he should open his own store, also named Nick’s. He lives in a different town so it would be OK. Tags: nicknames. Bookmark the permalink.